Ladera Vista Junior High School of the Arts has been designated the honor of an Arts Schools Network member. Ladera Vista Junior High School of the Arts offers an innovative arts-based education centered on academic excellence. The school offers 35 arts-based electives and an arts-integrated approach in all academic core classes. Students may select from a variety of arts pathways and may participate in a thriving after-school Arts Conservatory Program. If your child has a passion for robotics, visit Nicolas Junior High School, which offers a pathway for computer science and is home to a new FESTO lab, the only one in all of North America. Pre-AP classes are offered at Parks Junior High School, the first FSD school to offer Middle College, a program offered in collaboration with Fullerton College to provide students with the opportunity to explore different college and career pathways while earning college credit. The courses are offered at the school site after school hours. 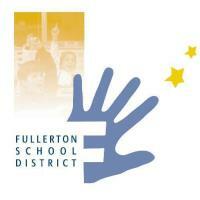 Schools have specialty areas and parents can learn more about Fullerton School District junior high schools and the local high schools at a Parent Information Meeting. With the exception of Nicolas Junior High School, all sessions are offered in January and February. The list of session dates is as follows and can be found on the FSD website. Beechwood School: February 1, 2019 at 9:30 a.m.
Fisler School: January 26, 2019 at 8:15 a.m.
Ladera Vista Junior High School of the Arts: January 22, January 29, February 5 and February 12, 2019, at 8:30 a.m. Parks Junior High School: January 18, January 25, and February 1 and February 8, 2019, at 8:00 a.m.
As a service to 8th-grade families, FSD has identified the parent information nights for incoming students for the local high schools. These information nights are as follows and can also be found on their website. Buena Park High School: January 16, 2019, at 6:00 p.m.
Fullerton Union High School: January 17, 2019, at 6:00 p.m.
La Habra High School: January 9, 2019, at 5:30 p.m.
Sonora High School: January 23, 2019, at 6:00 p.m. Sunny Hills High School: January 10, 2019, at 6:00 p.m. Troy High School: January 24, 2019, at 6:30 p.m.
found on the FSD website under Parent Resources. The Fullerton School District is located in northern Orange County, California and serves over 13,500 students in grades TK – 8th. The Fullerton School District includes 20 schools, 15 elementary schools, two K-8th grade schools, and three middle schools. The mission of the Fullerton School District is to work collaboratively with the community to provide an innovative, high-quality educational program for all students in a safe learning environment. The District motto, “Great Schools - Successful Kids” exemplifies the belief that all students will achieve academic excellence, acquire interpersonal skills, and develop the technological expertise to contribute as productive citizens in a democratic society. For more information, call (714) 447-7400 or visit www.fullertonsd.org.